First 8 minutes features an edit from Caterina Barbieri's piece and the second 8 minutes features an edit from ELEH's side. 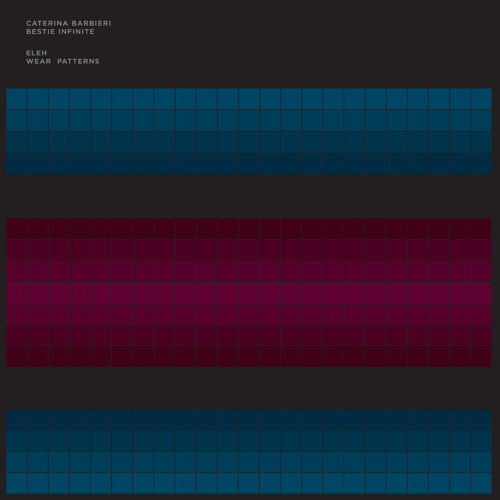 Highly synergistic split from ELEH/Caterina Barbieri featuring two sides of similar audio dimensions. These two electronic sound poems slowly unfurl rich timbre and harmonics with an austere stillness that is, somehow, ever-changing. It hardly matters whose side is whose. 200 copies are available on clear vinyl for Imprec mailorder. Lovely piece, dense and dynamic.